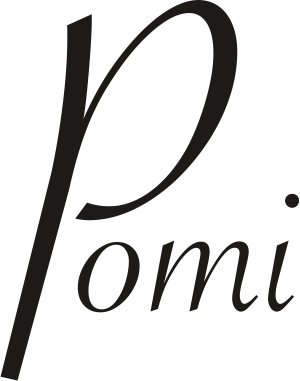 Pomi is a craft all-male , but very attentive to the needs of the woman universe .Pomi born as a jewelry with the intent to bring innovation in a strictly classic sector. An experienced team of designers study of current trends and create jewelry but with a unique flavor and sofistication. L'expertise master craftsmen apply in the original working strictly handmade in Italy . From the start , it was clear the need to create something that was recognizable and attributable only to Pomi . It was born in 2004 in the laboratories Pomi Lapplesite : a special patented material created by a natural resin used to reconstruct natural ebony type powders , cocoa, coffee , turquoise, agate powder whose mechanical characteristics are such as to allow various applications .